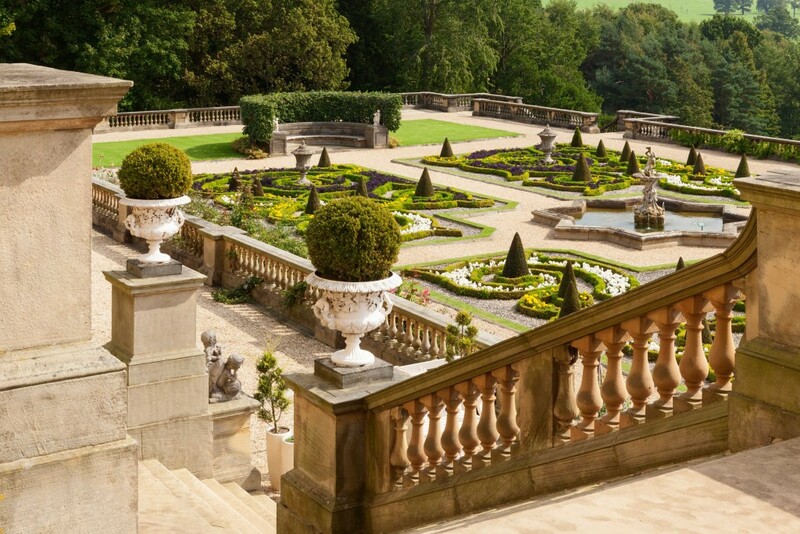 Commanding breathtaking views over idyllic countryside, Harewood’s magnificent Terrace is one of the most beautiful Victorian formal gardens in England. 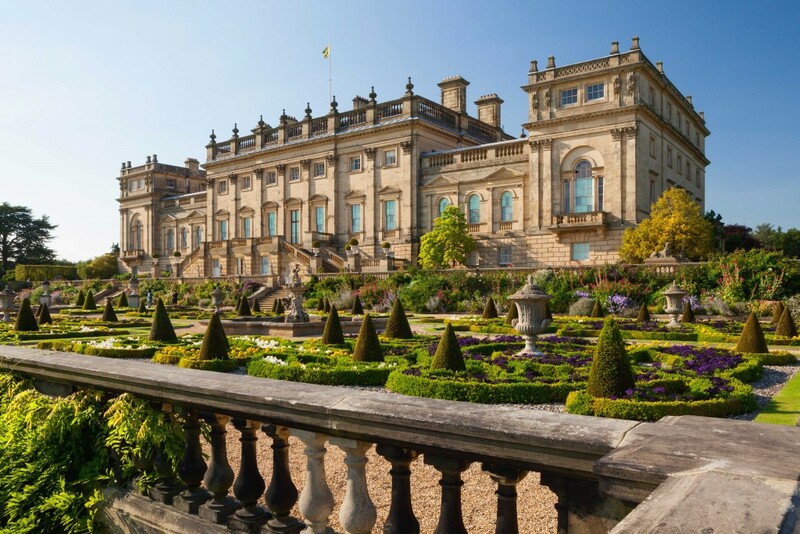 Built in the 1840s by Sir Charles Barry, best known as the architect of the Houses of Parliament in London, the Terrace is the largest of his projects at Harewood, which also included major alterations and improvements to the house commissioned by the formidable Louisa, Countess of Harewood, whose portrait hangs in the Dining Room. Restoration work on the Terrace took place in 1994, with financial assistance from the European Union. 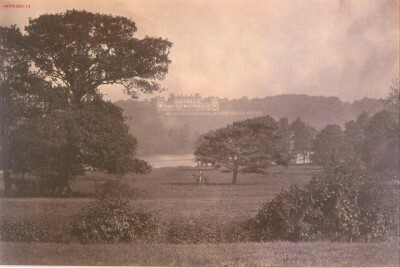 Charles Barry’s original elaborate flowerbed designs had been grassed over in 1959 because they were too labour intensive to maintain. The Terrace is on two levels. 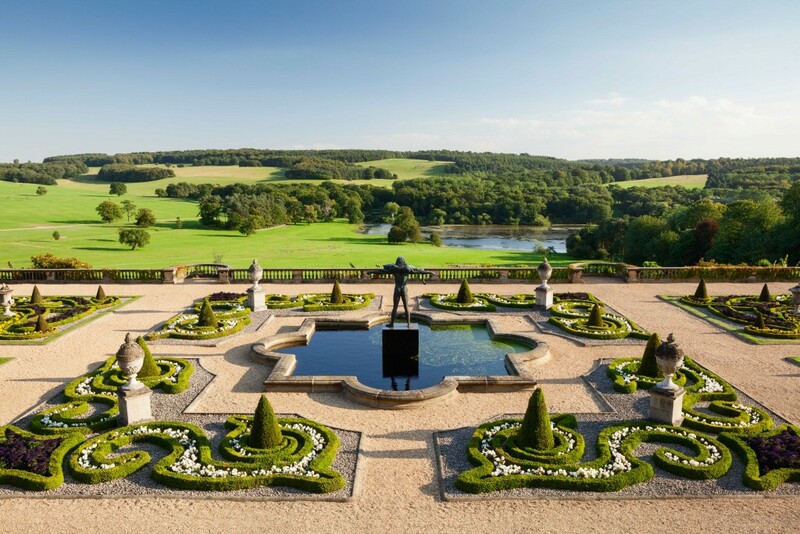 The Parterre was restored in 1994 and comprises stately fountains and symmetrical flowerbeds outlined by clipped box hedging over a mile in length. 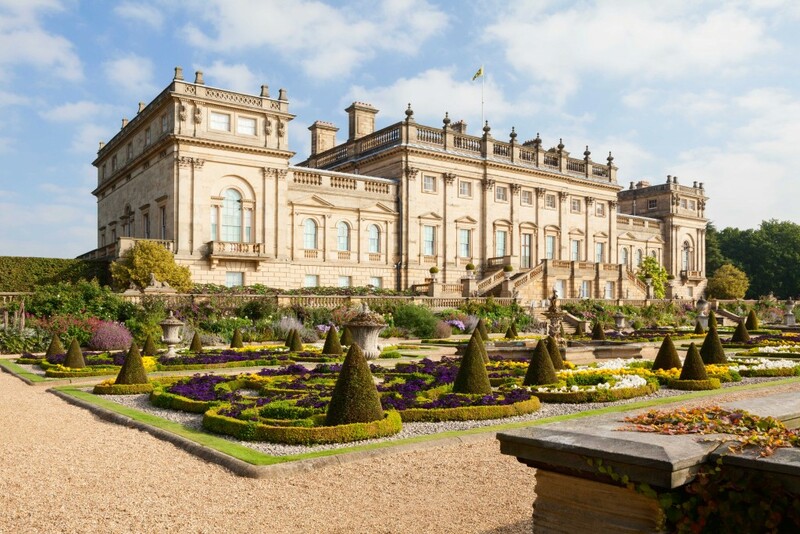 More than 20,000 plants and bulbs are planted in the Parterre every year, creating a mass of colour from spring to autumn. 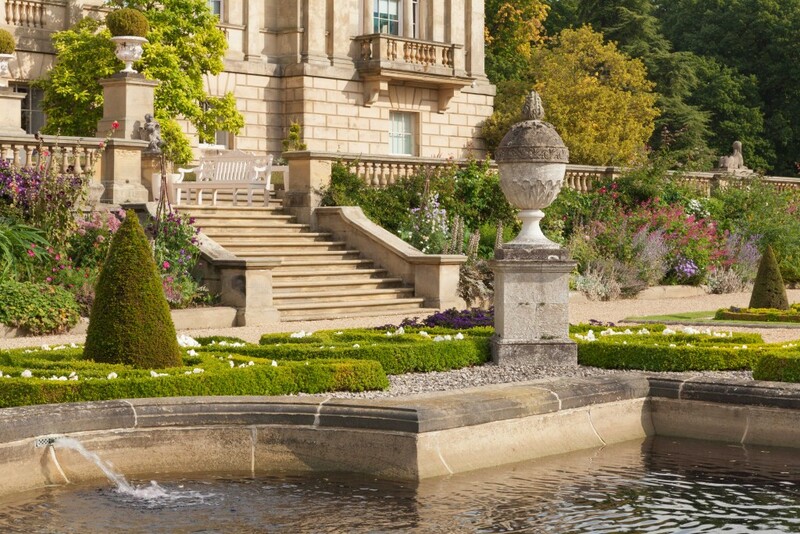 The stone statues in the fountains at either end of the Parterre are part of Barry’s original design, but the bronze figure in the central fountain (‘Orpheus’ by Astrid Zydower) was added in 1984 when the original statue collapsed. 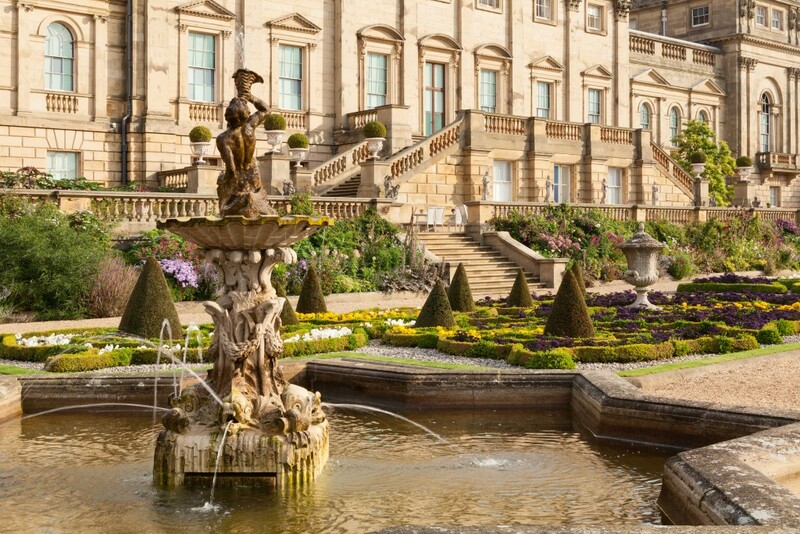 Herbaceous borders with perennials, tender exotics, roses and climbing plants complement the neo-classical architecture of the house. The upper level is now home to the Terrace Cafe, where you can sit indoors or outdoors, eat and drink tearoom style, while enjoying the finest view in Yorkshire or watching the soaring Red Kites. The Terrace is available for pre-dinner drinks or a reception and is a popular backdrop for wedding photos.